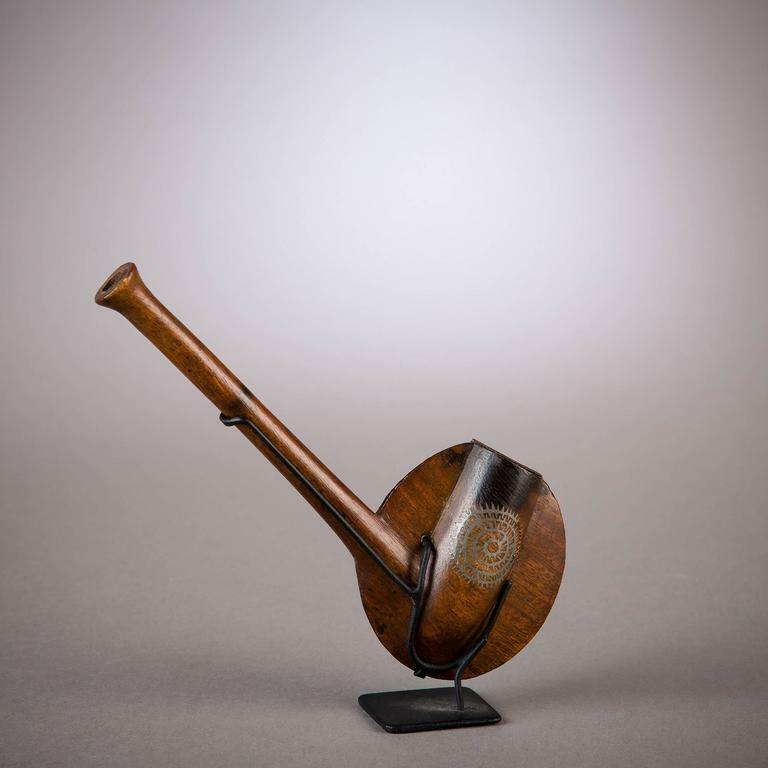 This disc-shaped pipe is a beautiful example of South African tobacco paraphernalia and an excellent example of the region's imaginative woodworking tradition. The stem merges seamlessly with the large, thin disc that describes a dramatic halo around the bowl. The circularity of composition is echoed in the detailed sunburst motif applied to the bowl in lead inlay. Executed with great care, the design is formed of several interlocking, spiky rings that present a simultaneously organic and mechanical impression. 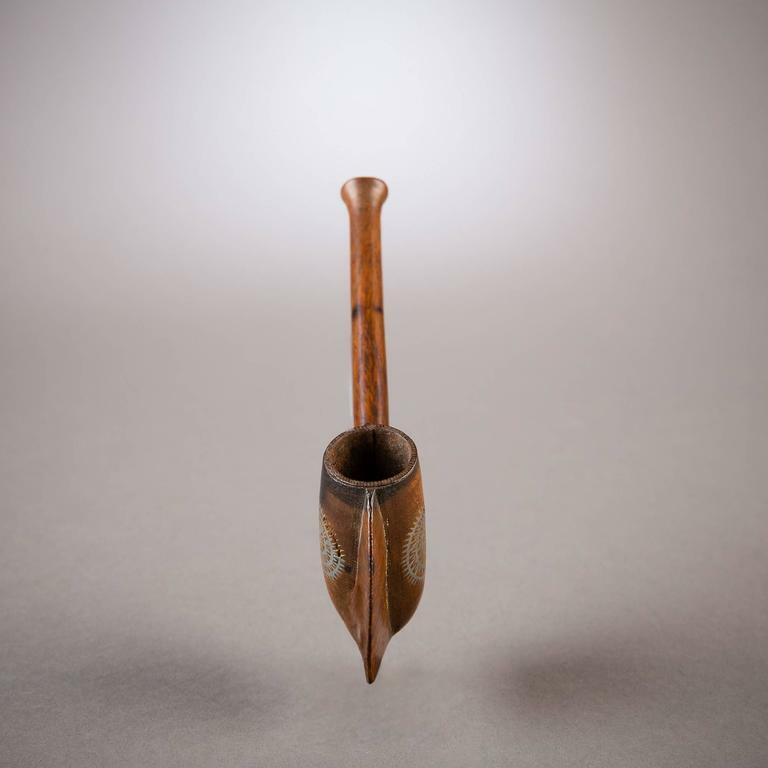 Pipes of all shapes and materials were created by the peoples of southern Africa. One can see the European influence in the design of these pipes, but with local innovation. 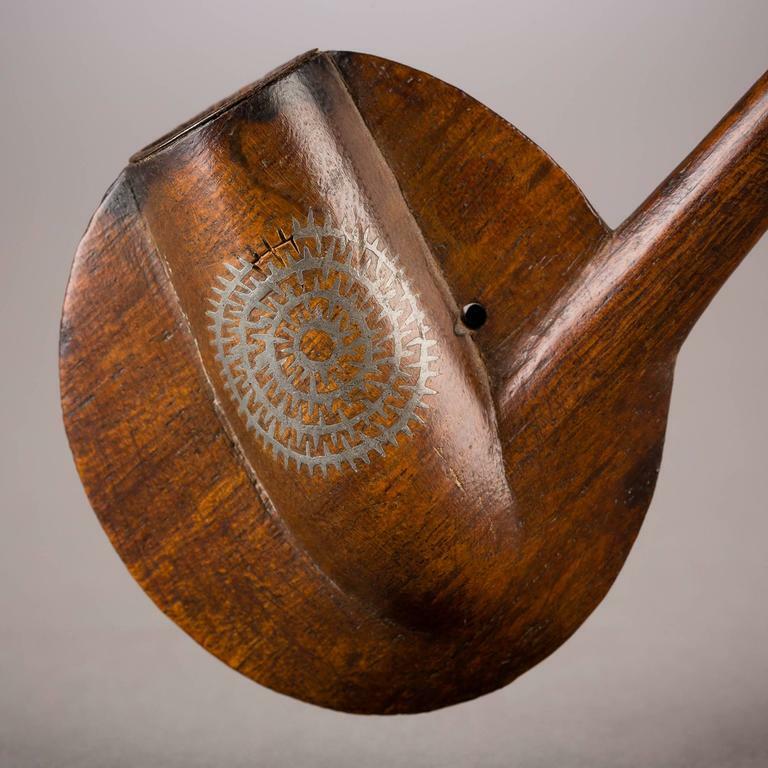 To create the delicate inlay motifs seen here, a shallow pattern was carved into the surface of the wood, molten lead was poured into the grooves, and the excess lead was scraped carefully away with a blade.